The logic and sincerity of Marxist appeals to unity on the Left are worthy of critical scrutiny. I argue against such pleas, suggesting that the devil is in the details. In practice, ‘Left unity’ could only result in the co-optation of anarchism under a Marxist leadership. Such vanguardism is one of the fundamental divisions between the two approaches, having long been rejected by anarchists. I further argue that Marxism cannot withstand the anarchist critique, striking fear into the heart of Marxists as it threatens their worldview. It also means that despite appeals to ‘fertile collaboration’ between the red and black, there is an explicit lack of willingness among some Marxists to actually engage with anarchists in legitimate debate. So be it. Anarchists will continue to raise hell all the same. By invoking Murray Bookchin and his split from anarchism, David Harvey seems to think he has exposed some irreparable weakness in the anarchist project. Giving so much weight to a single author is what Marxists are good at. It defines the worshipful and idealised image they have created out of Marx, and is a hallmark of the authoritarian logic that ferments Marxism. While Harvey has spent the latter part of his career organising online courses, writing companions, and generally proselytising Capital to rhapsodize Marx, such adulation of a charismatic authority figure certainly doesn’t matter to anarchists. Before Bookchin looked to exit from anarchism, some anarchists were only too happy to show him the door (Black 1997). On the other hand Harvey wants to play things off like he is willing to engage and build bridges with anarchists. Yet in appealing to the idea of unity on the Left, Harvey is being entirely disingenuous. His purpose is not to extrapolate Bookchin’s intellectual project or explore anarchism more generally, it is instead a thinly veiled effort simply to affirm his own position. While we all must apparently read Marx in excruciating detail, hanging on his every word as though they are of the divine, Harvey has clearly invested almost no time in actually reading anarchists. Indeed, relatively few geographers have. This was the point I was making in ‘Why a Radical Geography Must be Anarchist’ (Springer 2014), where I called into question the assertive orthodoxy of Marxism among the discipline’s Left. Harvey represents a particular kind of hegemonic Marxism that is not used to, nor prepared to engage with, forms of emancipation like anarchism. It would seem that Harvey’s reaction to me stands in for conventional Marxism writ large, where Geoff Mann (2014), for example, responded with similar outrage. But this vexation is precisely why the debate between Marxism and anarchism is necessary. So how can I claim that Harvey is being insincere? After all, one of the final sentiments Harvey (2015a, 2017: 249) imparts in his response to me is that ‘Honest disagreements should be no barrier to fertile collaborations’. I don’t disagree with this statement, and I think that autonomist Marxists and anarchists can find much to agree on. But I reject the notion that ego and academic hierarchy should be obstacles. As it turns out, these are key stumbling blocks for some of the more peremptory Marxists. This is where things get a little peculiar and Harvey has made me doubt his intentions. Soon after he posted his reply to my paper on his website on June 10, 2015, I made my original reply (‘The Limits to Marx: David Harvey and the Condition of Postfraternity’) available on my own website (now published as Springer 2017b). Soon after the debate became public I was invited by Michael Ladner of the Marxist Education Project in New York to come to their space in Brooklyn to speak. His idea was to host a debate between Harvey and myself, to continue the idea of a collaborative dialogue. Rather than making me feel as though I was entering into a Marxist lion’s den, Michael actually wanted to hold the event over two nights, with one night in his space, and one in an anarchist bookstore somewhere else in the city. I immediately agreed, thinking it would be a wonderful opportunity to get to meet Harvey and have a more personal conversation. Michael tried for many months to arrange something to accommodate Harvey’s schedule, which should have been relatively easy considering he didn’t have far to go to get to Brooklyn. I told Michael I was willing to travel more or less anytime to make this possible. For whatever reason Harvey simply refused to accommodate this invitation and in February 2016 I went to New York anyway, where I spoke to the Marxist Education Project about my work in Cambodia instead. Michael was fantastic, as were the people who had gathered that evening. Having traveled across the continent to be there, it was a fun night in spite of Harvey’s absence, and the fact that he would have only had to take the subway across town to participate. Fortunately there are at least some Marxists interested in a genuine dialogue. Two nights later I spoke at the City University of New York (CUNY), Harvey’s home turf. Given that Harvey had refused to participate in the debate Michael had tried to arrange, citing that he was too busy, I gave him the benefit of the doubt and assumed he was traveling. I was, I think quite understandably, shocked to see Harvey walk into the room to attend my talk that evening. Rather than coming to the front of the room to greet me before my lecture, Harvey simply went and sat down. No harm, no foul. There would be an opportunity to talk to him afterwards. He remained almost motionless for the duration of my talk, clearly uninspired by anything I had to say. When I finished speaking he asked me a question, articulated in a way that I could sense his displeasure, but I answered him anyway and to the best of my ability. He again seemed unimpressed. Fair enough, as the talk I gave was for my paper ‘Earth Writing’ (Springer 2017), which won’t be to everyone’s taste. When the question period ended I chatted briefly with a grad. student who came forward to ask another question, noticing that Harvey was speaking with a colleague at the back of the room. Once I had finished my own conversation, I approached Harvey and waited for a pause in his exchange, standing slightly to the side, as one does, so as not to appear rude and interject, but also to be clear that I would like to say hello. There was no break in their conversation for quite some time and an observant graduate student noticed the awkwardness of the situation and came to my rescue, asking me to come along with him to the reception room. He indicated that Harvey would join us there. I went along and when we arrived at the room, there was a line up going in as the snack table was situated as you walked in the door. We waited in the hallway, last in line, chatting about various things when finally Harvey came around the corner. As he came up the hallway the grad. student and I continued to converse, and I didn’t want to cut my comrade off, assuming Harvey would simply stop to say hello. He didn’t. He just kept walking. Maybe he didn’t see me? I thought I would be hard to miss. It was difficult not to interpret this as a snub. Undeterred and once more trying to give Harvey the benefit of the doubt, another opportunity presented itself. As part of ‘The City Talks’ speaker series on ‘Anarchism in the City’ that I was co-organising here in Victoria with my colleague Reuben Rose-Redwood, we had funds to bring Harvey in, all expenses paid. The idea was to again host a debate in a public forum. Unfortunately Harvey declined a second time, citing that he had no time to do this. Maybe he didn’t want to travel? James Sidaway and Richard J. White later worked together on organising an author-meets-critic session at the 2017 American Association of Geographers (AAG) meeting in Boston for my book, The Anarchist Roots of Geography: Toward Spatial Emancipation (Springer 2016), and invited Harvey to participate. It’s not far from New York I thought to myself, and Harvey was already scheduled to be in Boston for the meeting. He once again declined. Now comes the writing on the wall. Initially Dialogues in Human Geography was hesitant to publish my response to Harvey, suggesting it was too long. Given that Harvey’s distortions of anarchism are so profound, I insisted that my reply to him be published in its entirety. They refused and again asked me to shorten my response. Rather than cut that essay, which would dilute the message I wanted to impart, I composed this one that you are reading now as a placeholder. After almost two years of waiting, the editors of Dialogues in Human Geography informed me that no amount of emailing, texting, or calling produced a response from Harvey to his commentators, as is the standard format of their journal. What a peculiar way to value the labour of others (including myself Martha Ackelsberg and Myrna Margulies Breitbart 2017; Jenny Pickerill 2017; Joel Wainwright 2017; and Particia Burke Wood 2017), and an even stranger way to sow the seeds of collaboration. The silver lining was that his refusal to engage with his critics meant that more space was opened up in the issue of the journal and my original reply could be published in its entirety (see Springer 2017b). Nonetheless, it was becoming increasingly clear to me that I was, in Harvey’s mind, not worth the effort. Perhaps that stems from the fact that, as a younger scholar, I don’t have the clout that Harvey might require so that the ‘fertile collaboration’ he envisages isn’t simply left to rot in the field? On 3 April 2015, just two weeks after Harvey first emailed me his essay, David Graeber tweeted, ‘David Harvey just proposed writing a book with me: first half “listen Marxist” second “listen Anarchist”’. I tweeted a reply to both Graeber and Harvey saying, ‘Strange considering this is already a debate between me & @profdavidharvey. I guess I’m not worthy of a book collaboration?’ Graeber responded, ‘want me to talk to the guy’. I said ‘Up to you. Maybe another example of the hierarchy I critique him on? This time academic?’ Graeber replied to both Harvey and I saying, ‘don’t know background but if you 2 already debating this, makes sense you should continue’. Graeber and I then exchanged emails where I indicated that, ‘I think the rather vulgar Marxist position [Harvey] takes is being shaken by recent developments such as Occupy, Arab Springs, or even the PKK, which don’t lend themselves well to the type of arguments he’s been making for the past 40 years. He’s not quite ready to admit even to himself that he’s wrong about anarchism, so he resorts to caricature. My reading is that he’s caught between being committed to what he built his career on and the anxiety of being yesterday’s news. To remain relevant he’s trying to appeal to anarchists, but unfortunately it’s not really working’. I stand by this assessment. It’s hard to ‘listen’ to someone when they won’t shake your hand and say hello, let alone tell you to ‘go to hell’. We’re all just human beings sharing this earth, every bit each other’s radical equals. So what’s the problem then? Here we see the appeal to hierarchy that torments the Marxist worldview. Given his proposal to Graeber rather than myself, Harvey evidently plays to this. He didn’t just want to ask me to ‘listen’. It would seem that he actually wanted to tell me to be quiet. He certainly wasn’t prepared for the response he received from me (Springer 2017b), which I wrote after being contacted by the editors of Dialogues in Human Geography, who indicated that they were planning to publish Harvey’s article, my response, and replies from several other academics, with a final response from Harvey. Unfortunately, as noted, the dialogue was put on ice for almost two years because Harvey simply chose not to respond. Great strategy. If he just publishes his original essay and puts it up on his website, it is like the final word. He knows his brand name will carry his message far further than any potential responses, and he thereby effectively insulates himself from critique, where his distortions of anarchism remain unhindered. When he posted his essay to his website on 10 June 2015, since my reply was already prepared and I had already sent it to him on 27 May 27 2015, I requested that he please add a link to my response at the end. He didn’t. Is any of this in the spirit of the unified Left that he appeals to? I leave that open to interpretation, but either way, ‘Left unity’ is a code for Marxist co-optation. Aside from the autonomists, they simply won’t drop their vanguard spirit. It is what defines a great many Marxists as Marxist and not anarchist. Any ‘Left unity’ would merely allow Marxists to colonise anarchists under their leadership. No thank you. On 14 November 2017 soon after my exchange with Harvey was finally formally published in Dialogues in Human Geography, Brett Christophers tweeted, ‘“I view him as a worthy adversary”. Simon Springer on David Harvey. I. Have. Not. The. Words’. Christophers selectively and disingenuously removed this quote from my paper from the wider discussion and context of agonism in which it is framed (Springer 2017b). His goal was evidently to make me appear arrogant. Christophers played on the esteem that Harvey enjoys in the academy instead of acknowledging the adversarial politics of agonism and my use of this idea for what it is. Namely, removing Harvey (and Marx) from a divine pedestal and bringing him (them) back down to earth as human beings, with ideas worthy of critique and debate, not blank reverence. Christophers’ resistance to this challenge demonstrates the Marxist ‘great man’ complex and the cult of personality it entails. When Harvey barks ‘Listen, anarchist!’ I don’t have to shut up and bow down. The apparent expectation that I do further speaks to the authoritarianism of a Marxist outlook. ‘Left unity’ thus also represents a post-political move meant to silence the dissenting critiques of anarchists. We consequently often see Marxists suggesting that conversations about organising frameworks and the differences between Marxists and anarchists are pointless, taking away from building a stronger anti-capitalist movement. The expulsion of Mikhail Bakunin from the International, the centralisation of authority within the General Council, and the transfer of its headquarters to New York did not end Marx’s campaign against anarchists. ‘Anarchism was perceived by them, and rightly so, as an ideological rival on the revolutionary Left’ argues historian Robert Graham (2015: 194), who continues by suggesting that, ‘Anarchism therefore, had to be discredited’. Marx and his right-hand man, Friedrich Engels, accordingly campaigned against anarchism in their correspondence and published a number of articles and pamphlets that derided anarchism after the split in the First International in 1872. In an article called ‘Political Indifferentism’, Marx (1873: np) lays his authoritarian stripes bare, chastising anarchists ‘who are so stupid or so naive as to attempt to deny to the working class any real means of struggle’ by refusing a ‘revolutionary dictatorship’ in their desire to abolish the state. He argues that by locating power in society and refusing to use the instrument of the state, ‘the fatal conditions of this struggle have the misfortune of not being easily adapted to the idealistic fantasies which [proceed]… under the names of Freedom, Autonomy, Anarchy’ (Marx 1873: np). In ‘On Authority’, Engels (1872: np) for his part argued that revolutions are necessarily authoritarian and that the revolutionary party must maintain ‘rule by means of the terror which its arms inspire in the reactionists’. He also ridiculed anarchist notions of democratic worker self-management, suggesting that there is no organisation without authority, whereby he proclaimed that, ‘Wanting to abolish authority in large-scale industry is tantamount to wanting to abolish industry itself’. Reflecting on these lesser remembered Marxist writings, Graham (2015: 194) correctly points out that ‘Marx and Engels’s attacks on anarchism had begun in the 1840s in their attacks on Stirner and Proudhon and did not end with their “victory” at the Hague Congress’ when the IWA fractured, but rather ‘continued well after they had allegedly “saved” the International by reducing the New York-based version into a distant and irrelevant rump’. It is amusing to see such ‘historical materialism’ abandoned so that Marxists can play make-believe in an effort to wash the authoritarianism, racism, colonialism, and violence off of the Marxist project. If Marx was actually an anarchist why do his followers spend so much time defending him and espousing his authority? The cult of personality they produce is the antithesis of anarchism. The entire premise that Marx is an anarchist is a logical fallacy. Indeed, what if water wasn’t wet? What if pigs could fly? What if Puff, the Magic Dragon was real? What if 1 x 1 = 9? What if toys came alive at night? What if the sky was actually falling? Unfortunately unreflexive sentiments of ‘Left unity’ are as commonplace as they are blinkered. As Phil Dickens (2013: np) argues, ‘Genuine unity doesn’t mean us all signing the same membership form. It doesn’t mean silencing criticisms of bureaucrats and would-be leaders … Rather, it means us standing in solidarity with each other … and taking direct action in our collective material interests, all the while openly and critically debating the best way to win’. Such discussions are crucially important so that the movement on the Left doesn’t end in mass murder and genocide like Stalin and Pol Pot. As Bakunin recognised, the enemy of my enemy is not my friend, but the debate is nonetheless important. For anarchists, ‘Left unity’ with Marxists makes about as much sense as ‘libertarian unity’ with neoliberals, but the latter is of course one of the key distortions that Harvey wants to peddle. So do I want to keep open the possibility of what I have called a ‘postfraternal’ or ‘postsororal’ politics on the Left (Springer 2015)? Yes. But only as a spirit of debate that keeps anarchist praxis reflexive and lively. I still contend that we should move beyond the idea that everything will be resolved between anarchists and Marxists in some imagined synthesis (Springer 2017b). That ship sailed long ago, but fortunately a new one has arrived. It turns out that Harvey telling me to ‘go to hell’ is actually sage advice. With Charon as my guide, I happily sail across the Styx to greet ‘Satan, the eternal rebel, the first freethinker and the emancipator of worlds. He makes man ashamed of his bestial ignorance and obedience; he emancipates him, stamps upon his brow the seal of liberty and humanity, in urging him to disobey and eat of the fruit of knowledge’ (Bakunin 1882/2013: 4). While Marxists need anarchists to acquire street cred in the contemporary moment of struggle, anarchists clearly don’t need Marxists. What do they have to offer aside from a series of foundational, moving, and dangerous contradictions? From class-centrism to political economism, the dictatorship of the proletariat to the primacy of theory, and vanguardism to hierarchy, Marxism unequivocally cannot withstand an anarchist critique. The crisis of Marxism this time around, Souza (2016: 124, 126) argues, is that it ‘has been weakened since the 1990s as never before, though its dilacerating theoretical flaws and political cul-de-sacs … have been exposed by [left-]libertarians since the nineteenth century’, where four ‘partly irritating, partly embarrassing’ reactions among academic Marxists have arisen: 1) melancholia; 2) adoption of a quasi-bourgeois, ‘Left-Keynesian,’ tacitly reformist discourse; 3) prophetic updating; and 4) mimicry. Harvey is guilty of all of these responses, and insofar an anarchist critique is concerned, we can evidently now add a fifth category: active avoidance. Some Marxists have no intention of actually engaging anarchists in an open and inclusive sense. Instead they have relied on distortions, revisionism, and evasion to navigate anarchist criticisms, falling back on the arrogance of assuming they have some sort of theoretical upper hand on anarchism (Tabor 2013). According to Harvey (2015a; 2017: 238) it is apparently a ‘fact that anarchism, unlike Marxism, has no discernable theory of society’, revealing a lack of confidence in and even distrust for emancipatory social movements rooted in the everyday. Although I have responded to this nonsense with colleagues elsewhere (Souza et al. 2016), it would nonetheless seem that this is why Harvey won’t converse with me or entertain the idea of a legitimate, agonistic debate. Marxism is the lingua franca of radical geography, and unless he is met on those terms where his project and position are lionised, Harvey simply refuses to engage. I never thought I would actually write these words, but here they are: David Harvey is afraid of me. He’s afraid of all anarchists, theoretically deficient, dogmatic fools that he assumes we all are. Why else would he start something that he’s not prepared to finish? As the anarchist turn in academia has started to take hold, within geography in particular, Harvey has recoiled in fear of Marxism losing the unconditional veneration he believes it deserves. Now, before any readers conclude that these are the words of a scorned younger scholar pining for a fatherly figure to take notice, recall that I didn’t ask for his attention. He wrote his essay, which reads with all the hallmarks of paternalism, not at my own prompting. Then recall that like all anarchists, I couldn’t possibly care less about the cult of personality that defines Marxism and its intellectual project. It would seem that Harvey won’t engage me any further because I refuse to play the game of academic hierarchy and afford him the reverence he and so many others believe he deserves. Harvey did a lot of good for the discipline. There is absolutely no doubt about it. I’m more than happy to give credit where credit is due. Yet I refuse to perpetuate the ‘great man’ complex that Marxists hold so sacred. Nobody, including Harvey, is beyond criticism. Any and all claims to superior status, academic or otherwise, are a death knell for radical politics. Like Karl Marx before him, David Harvey is just a man. A mere mortal like all the rest of us. No more or less important. If you find yourself begging to differ and are struggling with a feeling of indignation swelling in your belly, that’s the vanguardist in you speaking. Snuff it out. Eat from the tree of knowledge. Reject obedience. Destroy what destroys you. Raise some hell and claim your emancipation! Ackelsberg, M., and Breitbart, M. M. (2017). The role of social anarchism and geography in constructing a radical agenda: A response to David Harvey. Dialogues in Human Geography. 7(3): 263-273. Bakunin, M. (1882/2013). God and the State. St. Louis, MO: Dialectics Annotated Editions. Black, B. (1997). Anarchy After Leftism. Albany, NY: C.A.L. Press. Ferretti, F. (2016). ‘The murderous civilisation’: anarchist geographies, ethnography and cultural differences in the works of Élie Reclus. cultural geographies. 24(1): 111-129. Ferretti, F. (2017). 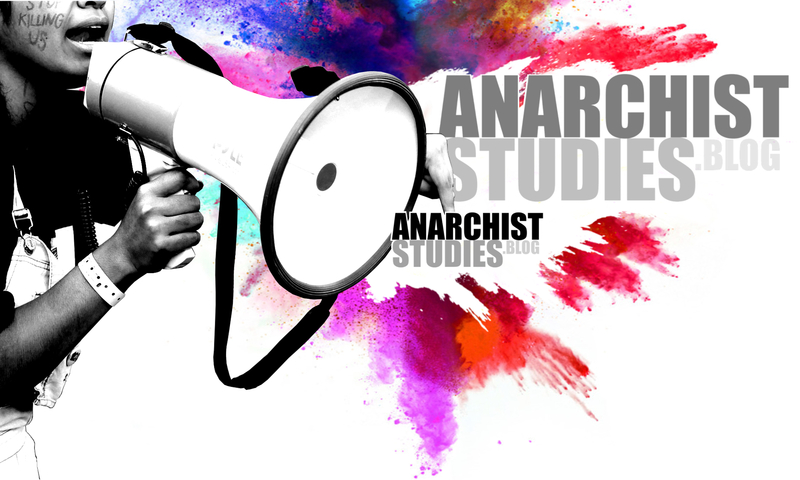 Evolution and revolution: Anarchist geographies, modernity and poststructuralism. Environment and Planning D: Society and Space. 35(5): 893-912. Graham, R. (2015). We Do Not Fear Anarchy – We Invoke It: The First International and the Origins of the Anarchist Movement. Oakland: AK Press. Harvey, D. (2017). ‘Listen, Anarchist!’ A personal response to Simon Springer’s ‘Why a radical geography must be anarchist’. Dialogues in Human Geography. 7(3): 233-250. Mann, G. (2014). It’s just not true. Dialogues in Human Geography. 4(3): 271–275. Pickerill, J. (2017). What are we fighting for? Ideological posturing and anarchist geographies. Dialogues in Human Geography. 7(3): 251-256. Souza, M. (2016). ‘Feuding brothers’? Left-libertarians, Marxists and socio-spatial research at the beginning of the Twenty-First Century. Theories of Resistance: Anarchism, Geography and the Spirit of Revolt. Eds. Souza M. L. de, Springer, S., and White, R. J. Lanham: Rowman & Littlefield, pp. 123-153. Souza, M L. de, White, R. J., and Springer, S. 2016. ‘Subverting the meaning of “theory”’. Theories of Resistance: Anarchism, Geography and the Spirit of Revolt. Eds. Souza M. L. de, Springer, S., and White, R. J. Lanham: Rowman & Littlefield, pp 1-18. Springer, S. (2012). Anarchism! What geography still ought to be. Antipode: A Radical Journal of Geography. 44 (5): 1605-1624. Springer, S. (2014). Why a radical geography must be anarchist. Dialogues in Human Geography. 4(3): 249-270. Springer, S. (2016). The Anarchist Roots of Geography: Toward Spatial Emancipation. Minneapolis: University of Minnesota Press. Springer, S. (2017a). Earth writing. GeoHumanities. 3(1): 1-19. Springer, S. (2017b). The limits to Marx: David Harvey and the condition of postfraternity. Dialogues in Human Geography. 7(3): 280-292. Tabor R. D. (2013) The Tyranny of Theory: A Contribution to the Anarchist Critique of Marxism. Edmonton: Black Cat Press. Wainwright, J. (2017). What if Marx was an anarchist? Dialogues in Human Geography. 7(3): 257-262. Thanks to Eoin O’Connor for making this point.